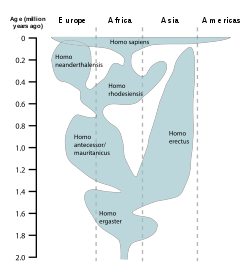 Paleoanthropologists continue to debate the classification of Homo erectus and Homo ergaster as separate species. 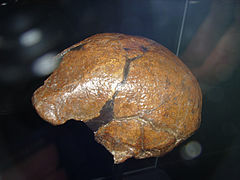 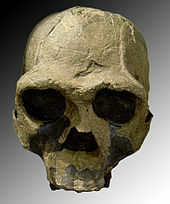 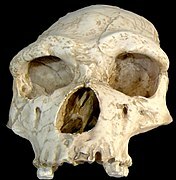 One school of thought calls H. ergaster the direct African ancestor of H. erectus, proposing that erectus emigrated out of Africa to Asia while branching into a distinct species. 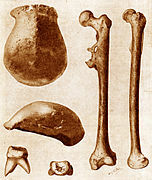 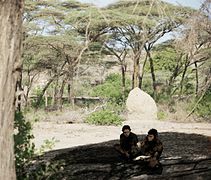 Some scholars dispense with the species name ergaster, making no distinction between such fossils as the Turkana Boy and Peking Man. 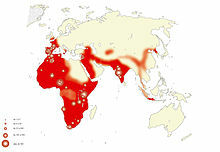 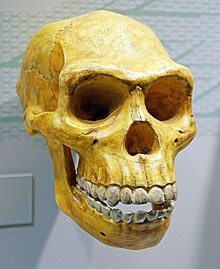 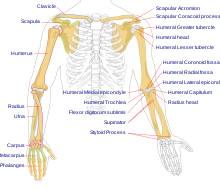 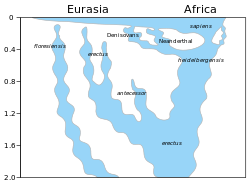 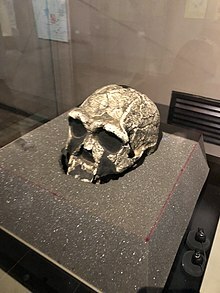 Still, "Homo ergaster" has gained some acceptance as a valid taxon, and the two species are still usually defined as distinct African and Asian populations of the greater species H. erectus, that is, "Homo erectus sensu lato".